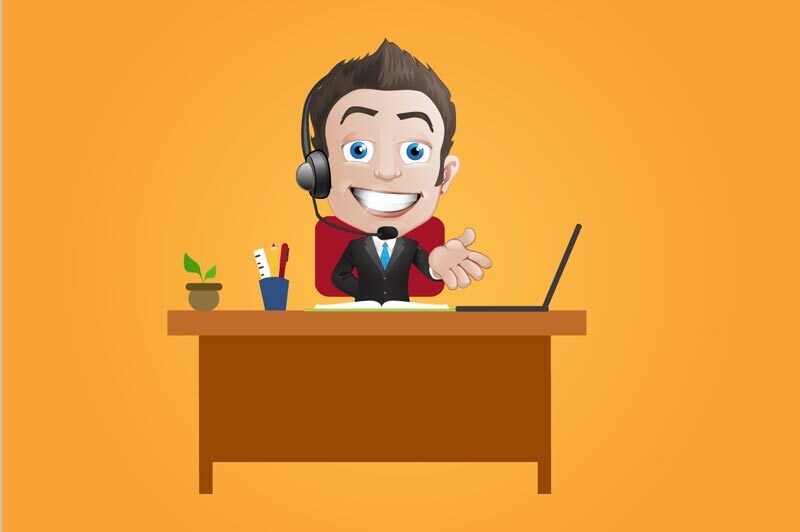 In this review, we take a look at the best 7 Live Chat Software’s and teach you everything you need to know to make the best choice for you and your business. Now, within modern business Live Chat software is not a new term. To match the ever-growing demand for providing their clients with superior customer support, most business owners have implemented live chat software into their websites. As you are no doubt aware, there are shed loads of live chat tools available on the web, which makes it even harder to find the right one. How can you be sure to choose the correct one, the one that supports your specific customer demands and expectations? Together with things you didn’t even know, that are worth knowing!! So, sit back, grab a coffee, relax and enjoy the review. Live Chat Software is often used by companies so that they are able to offer instant assistance to their website customers and visitors. It can be known by other names such as live support software, live help, or live persons. Informational Live Chat Systems – These systems are used to provide information and to answer visitors’ questions, usually to provide some product-related data or to help them make a decision. Generally, the chat personnel will handle only the incoming requirements, but it isn’t uncommon for these systems to incorporate behavior tracking and to allow agents to be able to intervene without being asked to do so. Sales Live Chat Systems – These systems are designed for online retailers to help them provide vital information to their customers who are intending to make a purchase. So, rather than technicians, sales agents will be sat behind the desk with a full suite of information to hand. 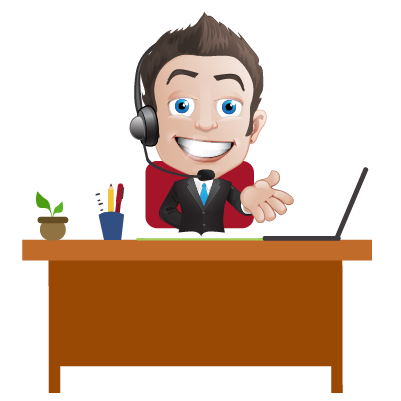 Customer Service Live Chat Systems – Often, customer service live chat systems get confused with the informational ones. The main difference is that they focus on helping customers who are experiencing problems, rather than wanting to ask questions and are operated by technicians and IT departments. Often, their feature suite is much more advanced than an informal service one, and quite often remote support is enabled. When choosing live chat software, companies should consider one that will integrate seamlessly with their existing e-commerce, CRM systems and help desk. The platform should also be able to offer features such as preferences for settings for the chat windows, reminders, reporting and archive tools and the ability to share discussions. Generally, live support applications open a window, which then connects the user to an administrator. Some applications operate by using a ‘queuing’ system, which means that only one admin deals with one user at a time, then once the present chat is closed will then proceed onto the next user (like moving along in a queue). Other Live Chat Software programmes offer basic text chats as well as more advanced features including true voice over IP, application sharing, remote view, website traffic monitoring, remote filing and live video chat. As promised, to help YOU to make the right decision, I’ll be taking an in-depth look at the Top 7 Best Live Chat Software providers, highlighting what works and what doesn’t. LiveChat offers premium Live Chat and Help Desk Software for businesses. With LiveChat, support teams are turned into customer service rock stars, and customers love the super-fast speed that their questions are answered in. Used by over 24,000 companies from over 150 countries, LiveChat is up there with the best. Pure Chat helps both small and medium-sized organizations to engage visitors to their website with easy-to-use and powerful live chat software. The software gives the capability for users to chat with customers anywhere, due to the on-the-go Pure Chat iOS and Android apps. 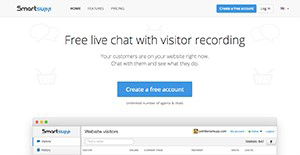 Smartsupp is a FREE live chat that includes visitor recording and can be used on any website. The app helps companies to improve their sales conversions (which are measurable in Google Analytics), understand customer behavior and boost customer loyalty. It is used by over 58,000 companies and includes top brands like Microsoft, SkyPicker, and Conrad. 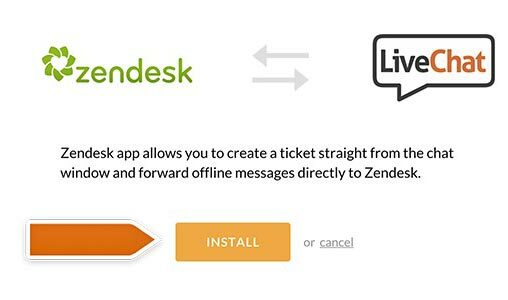 Zendesk builds live chat and help desk software to provide better customer relationships allowing them to be more flexible, reliable and scalable. 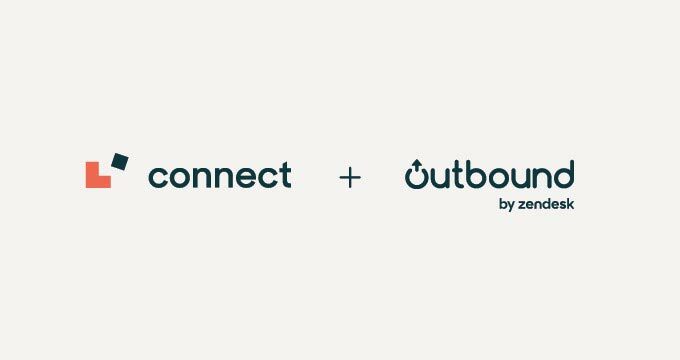 Over 200,000 companies such as Uber, Box, Groupon, Airbnb, and Disney are using Zendesk to raise productivity, lower their support costs, and increase their customer satisfaction. 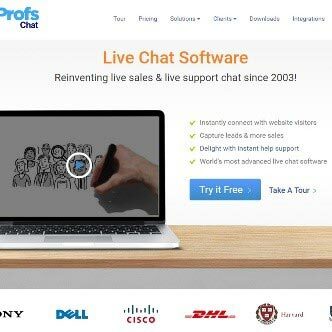 ProProfs Chat is a real-time chat software that can be easily integrated into any business website and is the go-to solution that allows online businesses to engage with their website visitors in open communication. Tawk.to is a chat tool which allows customers to connect with you through either a mobile app or via your website, it also supports chat history and performance analytics. 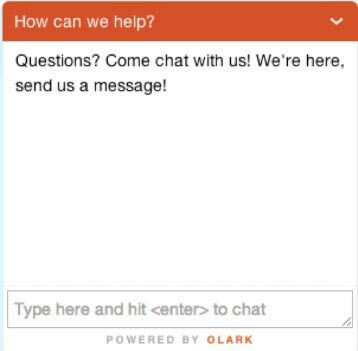 With Olark Live Chat you can easily start communicating with the customers who are browsing your website. 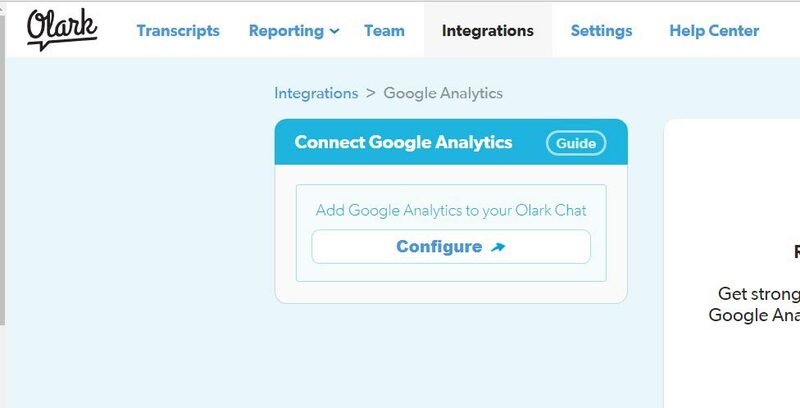 Olark integrates with several CRM, eCommerce and Help Desk platforms to provide you with powerful customer insights and robust data. It is simple yet effective and is loaded heavily with powerful features and solid integrations. So, now that we have shortlisted the best 7 Live Chat Software providers on today’s market let’s have a look at how well they provide our ‘must haves.’ These are the important things that need to be considered when choosing the right live chat software and this is what we will be giving our star ratings to. In this section, you’ll learn that no Live Chat Software is the same – they all offer different features which can ultimately be the deciding factor when making your choice. It is really important to choose Live Chat software that incorporates all the features that both you and your business want and need. The features that we will be comparing in this review include video recording, voice over IP providers, text, email transcripts (many of the solid live chat systems transform all chats into comprehensive transcripts, then save them on the platform’s database for review or use at any time) and ticketing – something that you make think a live chat system doesn’t need but is highly recommendable as not all customers like chatting with an agent and much prefer to explain their problem by way of a ticket. So to help you get the best live chat software for your needs, let’s look at them one by one. Live Chat comes with a built-in online ticketing system which allows you to deal with all of your support activities from one place. It includes a whole host of features such social media integration, an embedded chat window (meaning no pop-ups), real-time monitoring of visitors to your site, push surveys for customers to fill out prior to a chat session, chat sessions can be seamlessly transferred between operators, chats can be managed effectively by using canned responses, Live Chat is compatible with most web browsers and mobile devices and chats transcripts are available via email. Well Live Chat, you have ticked all the boxes and are awarded an amazing five stars!! Pure Chat includes automatic availability meaning that the moment that you or your agents log in to the Pure Chat website or software application, website visitors will be notified that there is someone manning the help desk. Other features include email capture forms (to collect customer emails), team chats, applications that work on iOS, Android, Kindle and mobile as well as the web interface, transcripts can be read immediately or emailed to the team. Nice work Pure Chat, have four stars !! SmartSupp allows you to chat with visitors in real time which means that any visitors questions will be answered immediately. Notifications will be received each time that a visitor begins a chat conversation and you can watch video recordings of any visitors to your website. SmartSupp offers supported platforms and can be used on any website. SmartSupp didn’t offer as many features as its competitors which earnt it a 3-star rating. 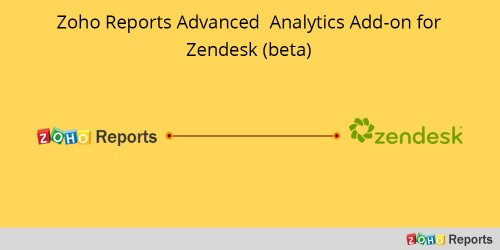 Zendesk does include most of the standard features including ticket support, email integration, multi-site support, scheduling, a self-service portal, customer database, customer service & knowledge base. So, with this in mind, we’re going to award it a middle of the road three stars. ProProfs Chat offers real-time visitor monitoring and chat, visual and audio alerts, operator status display, secure chat sessions, multiple chat sessions, open API, spell check during chats, operator/visitor typing status, displays chat waiting status, chat transcripts, includes the ability to add chat to multiple websites, chat window customization, chat window templates, timed chat sessions, pre-defined URLs, pre-written responses and custom chat images. Nice one ProProfs, a well-earned four stars. Olark’s features include an in-browser chat, targeted chat, chat ratings, both CRM and Helpdesk integrations, sophisticated insights, bespoke design customization, offline messaging, developer API, and co-browsing. Maybe not as detailed as some of its competitors but well worthy of 4 stars. In this section, you’ll discover how well these software tools integrate with 3rd party providers. We want you to get the most out of your software and make sure everyone is communicating. The best Live Chat option doesn’t just provide a few features of their own. They improve their quality by merging with other channels and standard web services. What modern live assistance does, is it integrates with multiple third-party apps such as email marketing, e-commerce, social media, CMS and CRM tools and other useful sales tools. Chat buttons can be directly placed into personalized emails that are sent to clients to enable them to begin chat sessions immediately. By allowing content management system integration (CMS), you will be able to keep all detailed information within a single system that can then be connected with the chat service. Let’s find out how they did. LiveChat provides easy integration into other applications such as CRM and e-commerce software including Salesforce, 3dCart, ActiveCampaign, Dropbox, Adobe Business Catalyst, Google+, Drupal, WordPress, and Joomla. Well done LiveChat a well-deserved four stars. 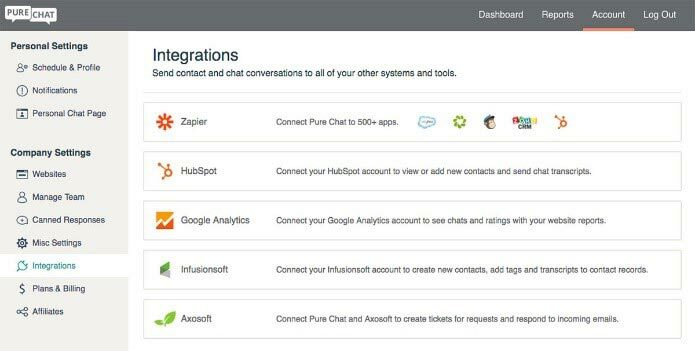 Pure Chat has created several direct integrations with favorite software products such as HubSpot, Google Analytics, Infusionsoft, and Axosoft. Additionally, you can also use Zapier which allows you to integrate with over 1000 other applications, making it easier to leverage contact and behavioral information to increase marketing, support and sales efforts. Not too shabby Pure Chat, three stars to you. 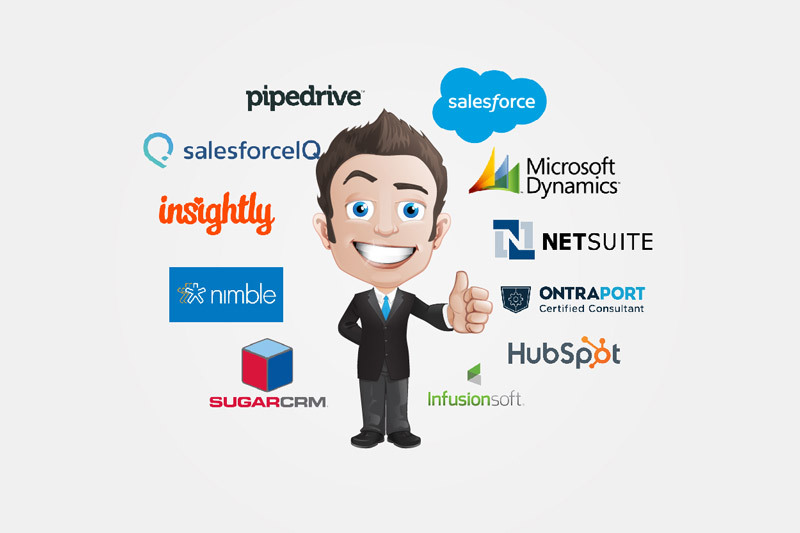 Smartsupp offers quite a few CRM integrations as shown in the screenshot below. It’s also automatically linked with Google Analytics and checks your site’s code for GA property ID then sends data to that account. Four stars to SmartSupp. Zendesk Apps Marketplace recently added some new apps including sentiment analysis, new integrations with CRMs, ticket creation from favorite messaging apps, together with a whole load of handy tools. Not bad Zendesk, but could do more, three stars. ProProfs can easily be integrated into all your favorite tools including everything from CRM & CMS, e-Commerce, email marketing, help desk and social media, which means that all bases are covered. A well-deserved four stars. Tawk.to can be easily integrated with most popular platforms and services such as Shopify, Magento, Presta Shop, and WIX. It doesn’t, however, extend to integration elements with social media channels such as Twitter and Facebook like other Live Chats do. And for this reason, Tawk.to you are awarded three stars. Olark works with and doesn’t replace the software that your sales, support and marketing teams love. There are live chat plugins which can integrate with e-Commerce platforms like Magento, Shopify, WordPress and BigCommerce to name but a few. A well deserving three stars. This section will show you what their built-in analytics capabilities are so that you can keep track of important chat and ticket metrics. Quite often customers expect businesses to have records of any of their previous interactions, which means that they don’t need to waste time on re-cap sessions. Another great thing about records is that they activate various probabilistic indicators such as customer belabor analysis, background analyzer and location tracker which then provides an overall insight into understanding the customer’s requirements. LiveChat’s robust help desk and chat software solution offer corporate-level chat capabilities, visitor tracking, customer monitoring and business-building data analytics. All transcripts are stored in LiveChat with the option to export them if required. All this means is that you can keep on top of your customers wants and needs. 4 stars LiveChat. The Pro version of Pro Chat includes real-time analytics, unlimited contacts, visitor tracking, use of Pure Chat over an infinite number of websites, set-up of trigger actions and alerts, SMS notifications and they even offer an affiliate programme that can be beneficial as well. Well done Pure Chat, have four stars. Zendesk allows you to filter your information by views and agents and the use of custom labels will help you to measure relationships with customers. Also included are customer analytics and satisfaction ratings via dashboards and performance reports which can help you to gain a greater insight into customers behaviors and enable you to track the activities of your agents. Not bad Zendesk, three stars. ProProfs provides a comprehensive suite of analytics that produces detailed reports together with real-time monitoring and visitor website chat history. 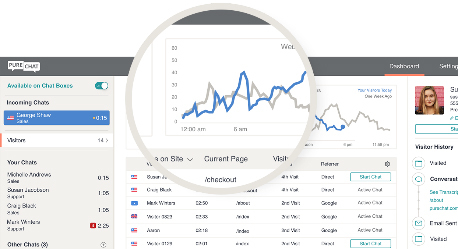 It also integrates with Google Analytics making it easy for users to centrally track visitors and the PPC campaigns. Not bad at all ProProfs, I award you three stars. Tawk.to allows you to both analyze and collect very simplified customer data, including agent’s performance, ticket statistics, and customer’s satisfaction ratings. I was expecting a bit more Tawk.to which is why you get two stars. 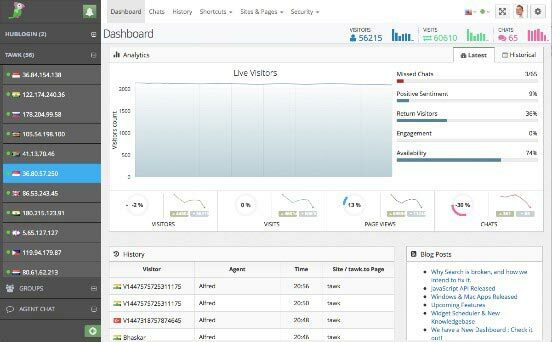 Analytics are displayed on the web-based console which then provide information such as the visitors country and city, their browsing history and if they are a returning visitor. The information could be presented in a more efficient way as I found that the URLs got cut off and I could only get the information by hovering over the visitor’s list. Could do better Olark, two stars. This can be a real deal breaker when choosing the right Live Chat Software. Ideally, consider one that offers help and support 24/7, 365 days a year, through live chat, emails or via a telephone call. It’s all about reassurance that help is at hand, anytime that you may need it. LiveChat offers excellent support compared with its competitors. They offer a 24/7 service via their own proprietary chat software together with a massive knowledge base of support features that you will love. A well-deserved five stars. Pure Chat offers a whole host of resource guides as well as live chat support using their own proprietary live chat helpdesk system. They are fast to respond, and if you prefer not to engage with a live chat agent, there is a massive list of guides to get you started. Excellent, five stars. SmartSupp offers good quality support and has a team of people on standby ready to answer any questions. You can search their web base for frequently asked questions or troubleshooting or directly email them with any questions that you may have, but bear in mind that replies can take up to three days. With this in mind four stars SmartSupp. Zendesk level of technical support is really very good and helpful. They offer Live Chat, User Voice forumLive Chat, and email support. However, when I send an email request, I have yet to receive a response. Not good enough Zendesk, two stars. 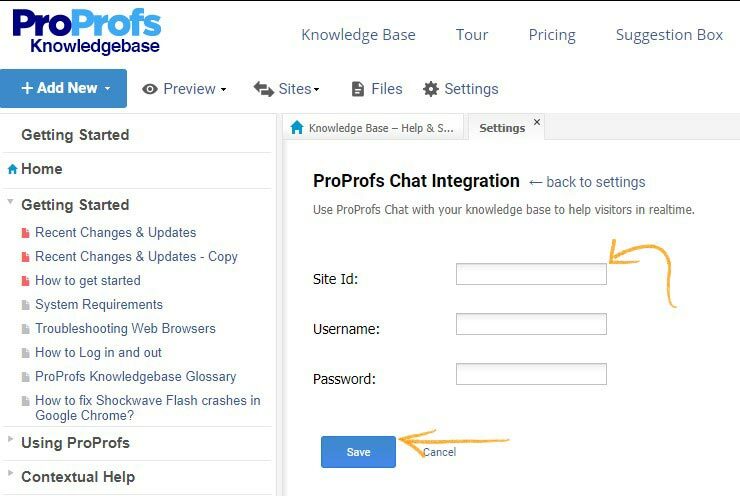 ProProfs Chat offers both online and video tutorials but no live chat, which was disappointing. Only 1-star ProfProfs Chat. Tawk.to offers outstanding 24/7 customer support; however, the only downside is that their responses can sometimes seem inaccurate as they are often based on pre-defined answers, and you can’t chat directly from the operator’s platform. Nice try though Tawk.to, three stars. Overall, Olark offers a fair standard of help and support, including Live Chat, email and a help section. Not bad, two stars for Olark. In this day and age being mobile responsive is really important. Any Live Chat software needs to be web-based compatible as well as desktop and mobile so that all the data can be captured in one place. You don’t want to be spending hours and hours updating different devices! So, how did our top 7 perform? 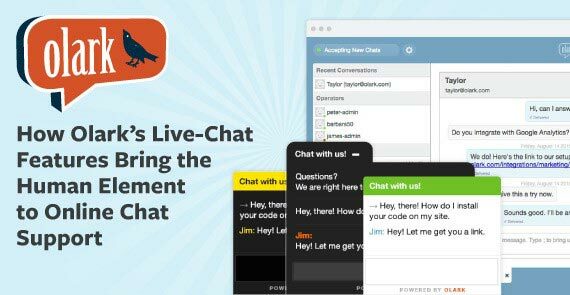 LiveChat is mobile responsive, and some of their features include the ability to integrate a Facebook chat, customize with CSS, share files and implement social media buttons. 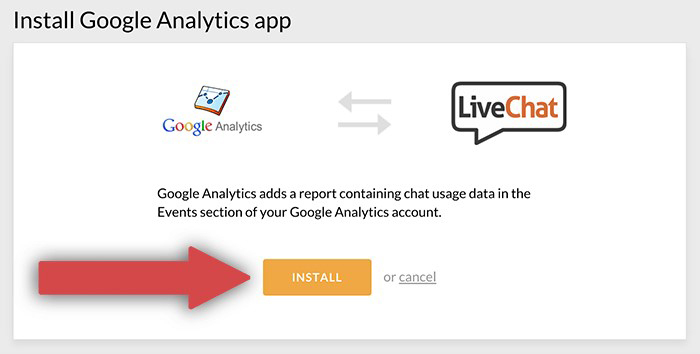 This is why LiveChat is most definitely one of the most popular live chats on the market today. 5 stars LiveChat. 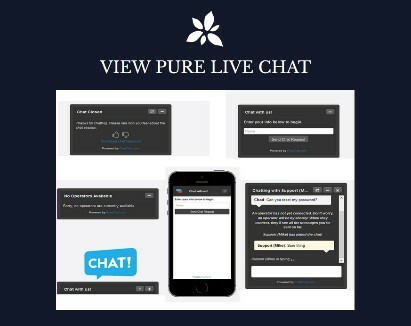 Pure Chat has a mobile-optimized chat widget for your website together with mobile apps for iOS and Android devices along with applications that work on iOS and Kindle meaning that you can easily interact with website visitors whether on the go or sitting comfortably in your favorite chair. Nice one Pure Chat, four stars. SmartSuppp offers applications for Android and iOS devices that help users to remotely access solutions to their issues and enable you to use your mobile device to chat with visitors from anywhere in the world. Not bad SmartSupp, three stars. Both the Android and iPhone apps are very polished and work well, meaning both you and website visitors can use them perfectly with chat conversations taking place in new browser windows. Pretty standard Zendesk, two stars. Operators can easily connect with customers on any device by using the native apps for Windows, Mac, desktops, iPhones, iPads and Android devices. Customers are never lost as offline messages are recorded as chat history. ProProfs Chat runs on any web browser and OS and works perfectly on tablets and mobiles. Well done ProProfs Chat, three stars. 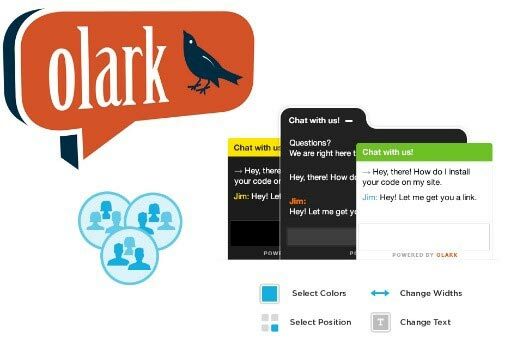 Olark runs on mobile instant messaging clients and offers third-party smartphone apps as well. The Hummingbird feature optimized the chat window for website visitors who are using mobile devices. It was disappointing to discover that Native iOS and Android apps were not available. Not good enough Olark 2 stars. Of course, all live chat software should provide the very basics such as the ability to answer customers questions quickly and easily. However, what about the ‘extra features’? In this section, you’ll discover just what other features are available, setting them apart from their competition and helping you decide which is right for you! 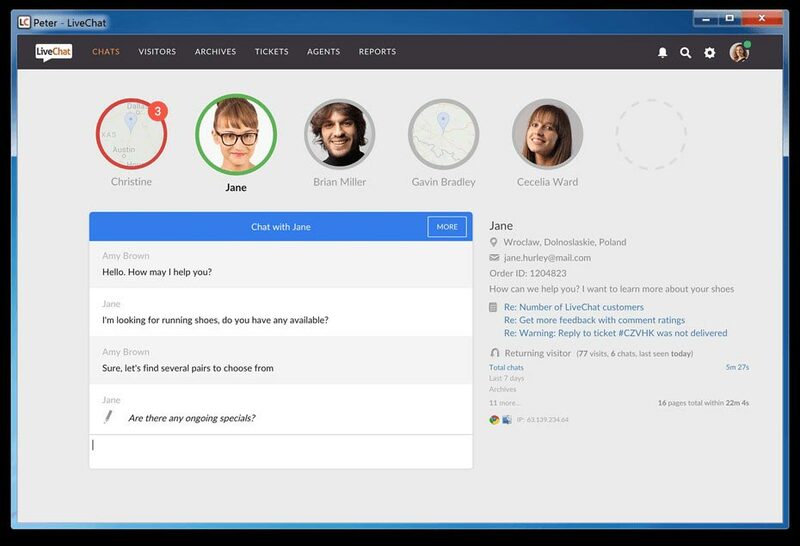 These can include chat services that offer desktop software features to allow agents to engage with their customers in text chat without the need to open the website each time, cloud-based online texts, so files and data can be added when needed, accessing multi-sites, availability of live voice calls, screen sharing, and co-browsing features so that the assistant can take over the viewers screen temporarily to ensure that any problems are resolved quickly and easily. These are to name but a few, so how did our top 7 fair?? Live Chat offers co-browsing and remote screenshot via the use of a 3rd party application. It does offer visitor monitoring that monitors the page URL that the website visitor is on and then directly engages with them to answer any page specific questions. LiveChat offers cloud-based security that doesn’t require any software installation on your server or website, which means that even if your site goes down, your customers can still easily reach you if they need to. At present Live Chat does not offer video chat, which was a little disappointing. Overall, very good LiveChat, four stars. Pure Chat includes everything you need and nothing that you don’t. They have a whole host of features that include: easy customization of field and chat boxes, trigger-based actions, and notifications, easy transfer of files (including GIFs, images, documents, and videos) and is fast, reliable and above else secure. It easily integrates with your favorite tools and website builders enabling you to connect to popular apps quickly and easily. Good show Pure Chat 4 stars. SmartSupp allows you to customize colors, texts, and position chat boxes to fit with your company’s identity. You can also measure the impact of SmartSupp from its conversion rates and customer behavior via Google Analytics. Co-browsing is available but only via screen recording. Could be smarter SmartSupp, three stars. Zendesk offers no co-browsing at the moment but is looking to add this feature in the future. For an extra fee, you can add a remote Bot which will provide automated answers to customers using knowledge base content. Really need to offer more though Zendesk, which is why I’m giving you two stars. 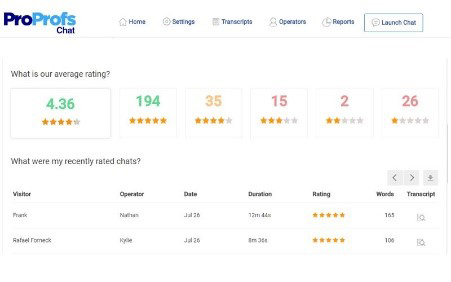 ProProfs Chat allows you to access in-depth reports such as operator login hours, chat requests, chat transcripts and ratings which help you to keep track of operator performance. To gauge how happy customers are while interacting with you, post chat surveys can be viewed. In progress live help chat sessions can also be monitored to assess the interaction of customers and operators in real time. Not as much as I would have liked, so two stars for ProProfs Chat. Tawk.to includes video chat and screen sharing; however, it isn’t free and comes at a price of $49 per month. Tawk.to also offers their own chat support which means that they can handle chat conversations for you for as little as $1 per hour. Could provide more, which is why Tawk.to gets two stars. Olark does offer co-browsing via Power-Ups, although this does come rather expensive from $99 per month. SSL encryption is included in all the plans with proactive chat triggers which are fully customizable rule-based triggers. Doesn’t hit the spot, so two stars for Olark. How do these Top 7 compare on our checklist criteria? The results do paint a clearer picture, but the most important factor is what Live Chat Software is the best for YOU and your BUSINESS? There, I said it, the elephant in the room!! For some user’s, the price is everything – especially those who are working to a budget, but for others, the price is no obligation so long as the tool provides and matches their exact needs. So, this is how the prices worked out, but let’s have a look at who ranked as the best x for y for..
What I really liked about LiveChat was its reliability. It is a robust application whether being used online or on a desktop and handles all chat conversations with the utmost reliability while offering all the features of a manned chat application. I later found out that from the onset LiveChat’s aim was to be the best-manned chat solution. They have, however, moved with the times and developed a bot – which I must say is just as robust. It is called botengine.ai and integrates effortlessly with LiveChat and both applications worth fantastically with Web Pages, Landing Pages, Facebook Messenger and loads more. LiveChat also offers a whole heap of customization, robust reporting together with professional looking interfaces. It is mobile responsive and can be used on desktop computers, tablets, mobile phones or notebooks. 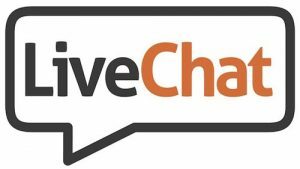 LiveChat may come in more expensive than some of its competitors but for the features, support and peace of mind that you get, it is most definitely worth every penny!! PureChat focuses on one thing and one thing only – which is live chat. It integrates beautifully with web-based popular content management, e-commerce services and social media including WordPress, Etsy, Shopify, and Facebook. For anyone looking for a simple, quick and FREE, no-nonsense live chat solution then Pure Chat is the perfect choice. PureChat allows you to save and store live chat transcripts which help identify the top performers as well as highlight new opportunities for lead engagement. To help address consumers’ most common questions, Pure Chat has pre-filled responses available, which takes only seconds to set up on the system. The analytics options are superb, and the ability to include multiple operators is perfect for a free platform, with mobile functionality being spot-on. The third-party integrations even surpass what other companies are offering. 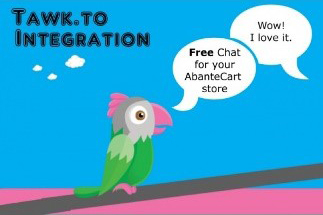 Much of the heavy lifting of integration can be handled with Zapier and together with the team at PureChat makes all the typical barriers as small as possible which is another reason why this is the best FREE Live Chat Software. I felt that I had to include SmartSupp in my top recommendations because although it is a fairly standard live chat service what sets it apart is its video recording options. This makes it a little bit more than the average live chat programme. It allows you to record and track visitor mouse movements and clicks directly from your agent dashboard. It offers a free plan that includes an unlimited number of agents and chats, however for features such as video recordings, automated messaging and the ability to save chat history the plan ranges from $8-$19 per agent per month. 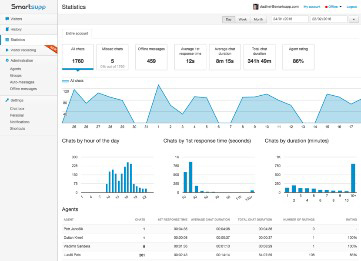 SmartSupp’s live chat dashboard is uncluttered, clean and intuitive which makes it easy to actively chat with interested visitors, while at the same time gauging their reaction based on the site activity recording. 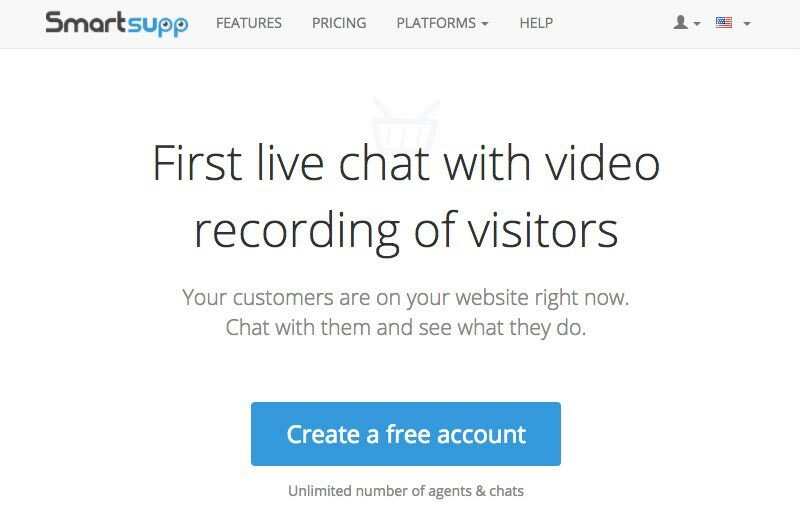 As with many other live chat programmes in this review, SmartSupp does work with most popular services and platforms such as Shopify, WordPress, Magento and many more. The platform also offers basic automation which allows you to send personalized messages to site visitors based on their interaction with your site. SmartSupp is mobile responsive meaning that user’s questions can be answered via your Android or iPhone. 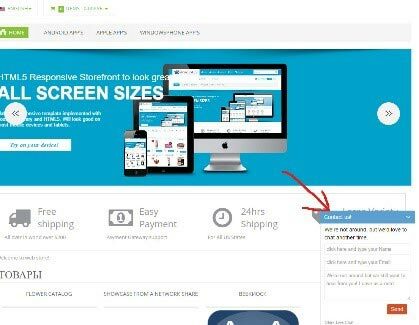 For those who are looking for a FREE live chat service with the option of using unlimited agents, then SmartSupp is definitely worth a serious look. 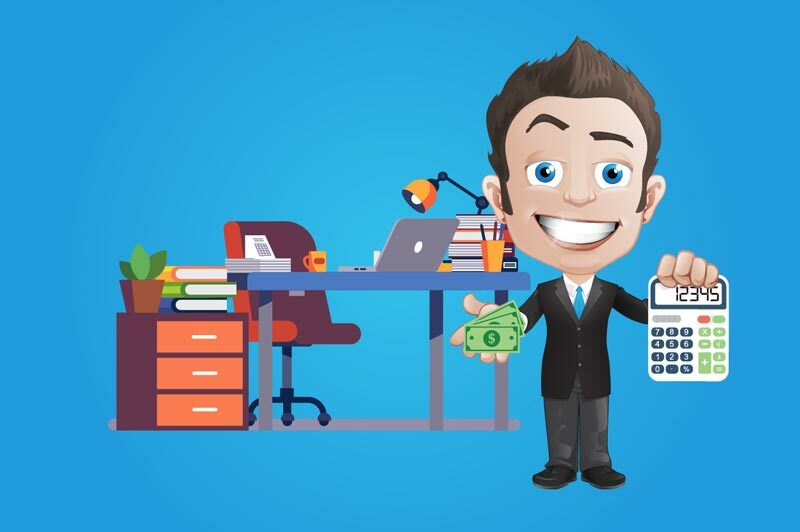 And as their paid plans are fairly inexpensive, this is what makes it the budget-friendly option for any business – especially when you take into account it’s video recording capabilities. Now that I have compared the top 7 Live Chat Software providers, based on various factors, I will conclude with a brief summary of each. Remember, there are full reviews available, and these are merely ‘mini’ ones that reflect the findings from the roundup post together with my own analysis. Live Chat Inc is a system that enables visitors to your website to chat live with either sales or customer service representatives. It provides an excellent feature set, with features that I haven’t seen offered from other services and caters for any business size. LiveChat is one of the very first live chat solutions that integrate with social media. Live Chat’s user interface is colorful, bright and more importantly easy to use. It is fully customizable which allows you to choose color schemes to match with your company’s colors. When LiveChat is integrated onto your website, customers will see a floating button which will allow them to immediately request a chat session with one of your operators. 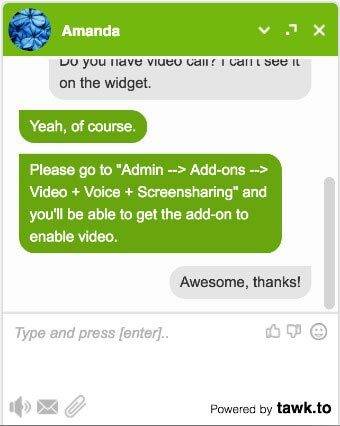 What is really good is that the chat window will then embed itself onto the page and will stay there even if the customer changes pages. LiveChat offers operators a wide range of options on how they log into the system and attend to their customer’s needs, and it even lets users log in using their Facebook details. Live Chat is a forward-thinking company who are always thinking up new features that can be included in their software. They have plans to suit every budget and even offer a free trial that can be implemented in a few minutes. Well designed – it is both aesthetically pleasing as well as being a pleasure to use. Loads of features and apps – this also includes their own helpdesk tool and now even a chatbot. Apps – Live Chat includes apps for Android and iOS as well as Mac and PC. Compared to the browser console they even offer features such as automatic time out. Too many different plan types. The starter plan has a limited history timescale of 60 days, meaning all chats are wiped after then. Pricing – LiveChat does come in more expensive than other live chat tools, more so, if you need more than one automatic trigger or need to set up different agent groups. Pure Chat is a live chat helpdesk system that can be integrated onto any site irrespective of what type of code or content management system you currently use for your business. Whether you’re aiming to increase sales or the value of each website visitor that lands on your page, or perhaps reduce the cost of your current helpdesk, you won’t be disappointed with Pure Chat. It offers a 100% free plan which means you can get started without laying out any money. Pure Chat includes a wide range of advanced features and avails data to your business that otherwise would be impossible to obtain. You are also able to have a dynamic real-time view of all website visitors, meaning that you can manually message them if they’re lingering around a check out page, or viewing products and service listings but taking no action. Here’s the kicker, Pure Chat enables you the capability to capture leads off hours, which means that you can still build up an email list, even when you’re not around, which really is pretty cool. Lots of integrations –Pure Chat covers a massive list of integrations, which means that however your business works, you won’t encounter any trouble getting the live chat setup across all of your platforms. Superb interface –Pure Chat has a very attractive live chat interface which is quick and easy to use. Forever Free Plan – Pure Chat offers a 100% free live chat plan, which allows you to interact with your website visitors in style, even on a small budget. Free Plan Limits – The majority of Pure Chat’s integrations require a paid plan for them to work fully. Also, other advanced features will only unlock on a paid plan. Branded Chat Boxes – Most of the Pure Chat plans display a branded “powered by Pure Chat” tag. This isn’t really a problem, but it should be displayed in its full transparency. It can be removed, but only by using the most advanced payment package. What makes SmartSupp stand out from its competitors is its visitor’s recording feature. 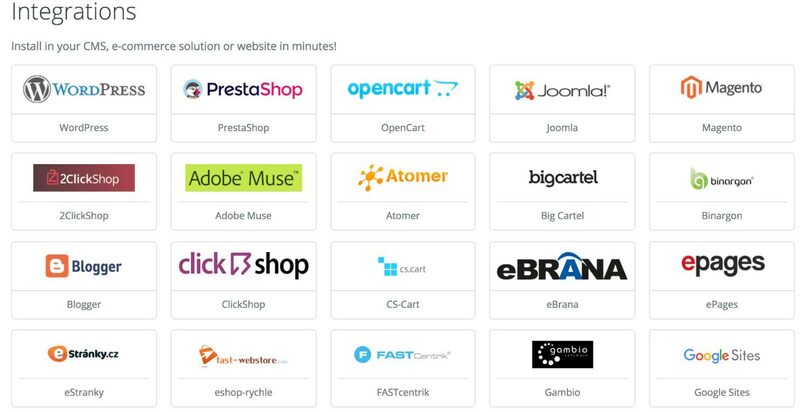 It is easy to install, and you are able to choose the plugins for different platforms such as Joomla, WordPress, Magento, and Prestashop. Once logged into the app you will be taken to the dashboard, where you will see a sidebar which displays all of its features. Visitor recording enables you to see your visitor’s movements and behavior. SmartSupp is completely, and the positions of the chat box and texts can be matched and moved in accordance with your company’s website. It offers lots of CRM integration and is automatically linked with Google Analytics. SmartSupp offers three plans ranging from $8-$19 per month per agent including a free one. Allows you to instantly answer visitors questions. The overall look of the app isn’t aesthetically pleasing as that of its competitors. Zendesk is a SaaS Suite that was developed to be a platform for help, customer service support, and issue tracking. It is a great tool for any company whether large or small. Its software can be used in retail and media services, software companies, government agencies finance and education. Zendesk is a great for helping you to interact with your customers faster and easier and by using any communication channel, such as email or social media. 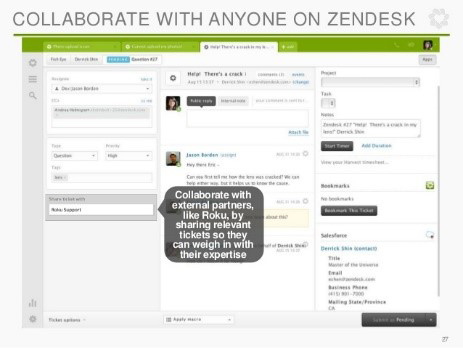 With Zendesk you can put all of your customer interactions into one dynamic interface. Customer queries can be brought in from almost any channel, via their pre-defined ticket responses, customer search history and web widgets, which in turn allows you to respond quicker and more accurately. 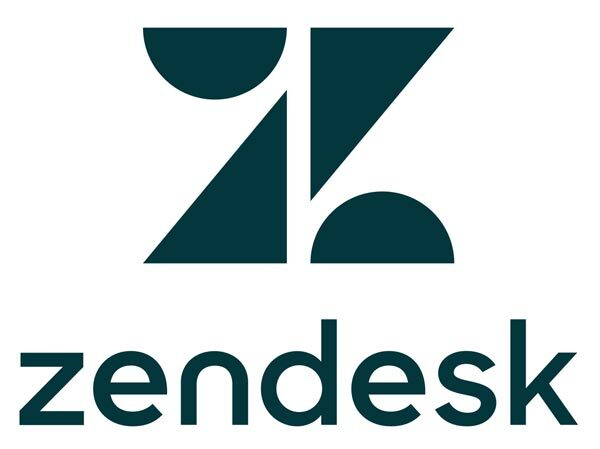 Zendesk allows you the capability to set up a call center with mobile, web and messaging channels and via the integrated live chat, you can proactively engage customers via the website or e-Commerce page. Overall, Zendesk is a focused and comprehensive help desk suite that includes all the essentials that your support requires. Superb interaction options – this can be through various channels including email, social media, and phone. Availability of native apps – including those for Android and iOS devices. Easy customization – the interface of the online software can be easily branded. Integration of lots of third-party apps – including Google Apps, Open API, and SalesForce. Not very mobile responsive – because the online software interface is based on Flash, it doesn’t work well with mobiles. Doesn’t suggest answers via its knowledge base to customers that have submitted tickets regarding questions that have previously been answered. 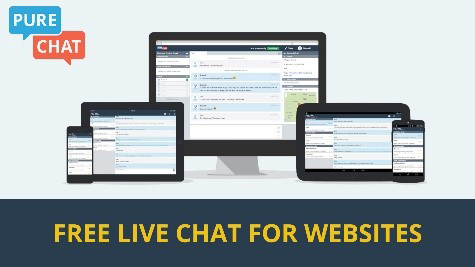 ProProfs Chat is a real-time chat software that can easily be integrated into your business website allowing you to instantly connect with your website visitors. The application improves communication between your existing customers, your business, and future prospects. 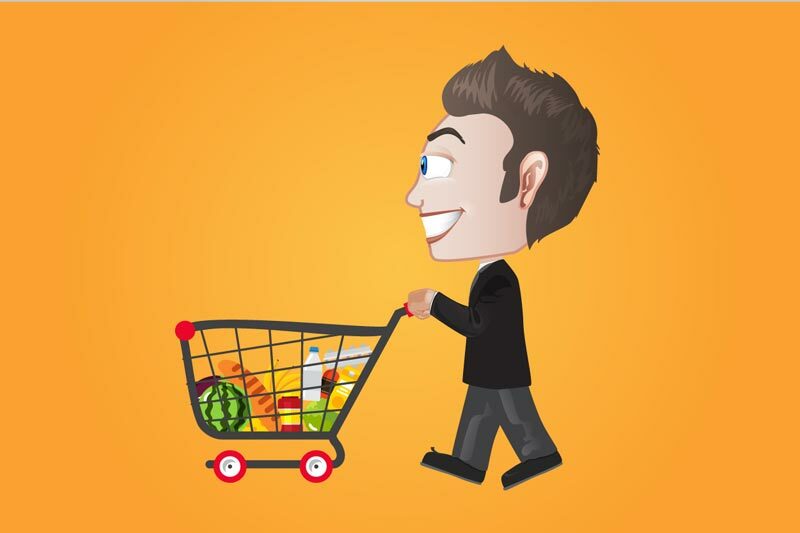 ProProfs Chat enables you to convert your visitors into paying customers quickly and easily by addressing any issues they may have and by helping them with any product queries. Their solution allows you to use pre-defined greetings and messages, as well as the capability to create your own bespoke ones. 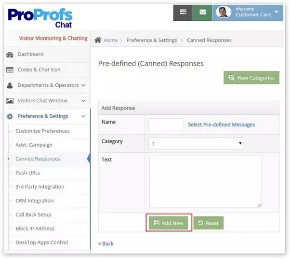 With ProProfs Chat, you can see, in real time exactly what your visitors are looking at. Plus, you will be able to see what they are typing which then gives you an oversight into what they are looking for. This then helps you to understand any concerns that they have and enables you to deliver the best possible solutions in resolving these issues and answering their questions. 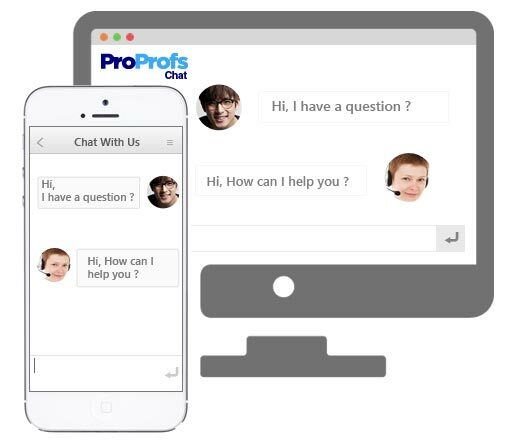 ProfProfs Chat is mobile responsive meaning that customers can engage your agents using their iPhones, Windows or Mac devices. Wide range of features and functionality. Includes canned responses – meaning response times are quicker. One to one text chat with website visitors. Chat history of every visitor that comes to the website. Extend the free trial – there is a lot to take on board for those who are slow to adopt. Online help documents are too complicated to understand. Tawk.to is easy to install and is very similar to the installation of other live chat apps. To begin with the agent’s platform can feel quite complicated with various setting options and multiple available tabs, however, over time this does become much easier and extremely functional. The mobile application is available both for Android and iOS and only provides the basic chatting functionality. Tawk.to is a completely free software which means that there are no premium plans available. So, for the price of 0$, you are able to get one of the most advanced live chat solutions on today’s market. Functions include a ticketing system, desktop and mobile applications, contacts, team departments and reporting. It is also one of the only chats who offer their own chat support, meaning from as little as $1 per hour they can deal with all your chat conversations. Tawk.to can be integrated very easily with other platforms and services including Shopify, WIX, Presta Shop and Magento. It does offer a limited mobile application for Android and iOS as well as desktop apps for Windows and Mac and offers customer service which is available 24/7. Includes loads of advanced features. Fast customer support that is available 24/7. Can seem complicated to use, to begin with. Olark is a live chat software service that allows you to interact more easily with your customers, increase customer satisfaction, close more sales, and build a fantastic rapport with your website visitors. Olark’s interface is clean and beautiful, so if you are looking to engage with your audience, without the use of chatbots, then this could be the tool for you. 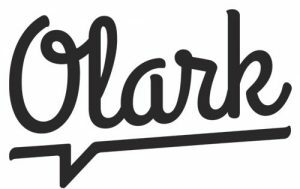 Olark has a fantastic team of responsive customer support agents, who are ready to help, should you have any questions. 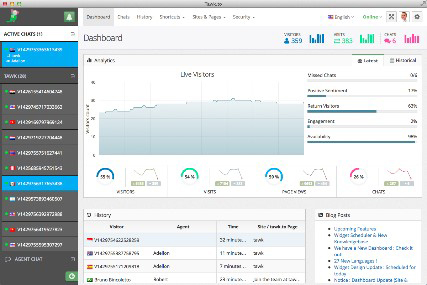 Full visitor history – when a visitor begins a chat you will be able to see exactly which websites they have visited. 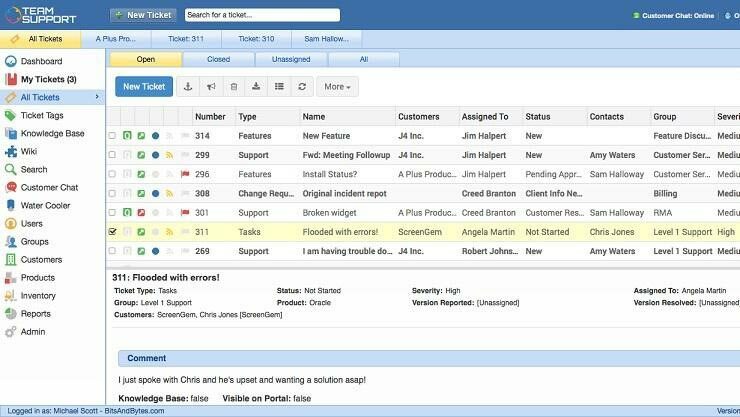 Email marketing integration can be tricky – Olark can be integrated with other email autoresponder services; however email marketing integration isn’t a top priority. Limited free plan – many of Olark’s best features are locked out of the forever free plan, such as the ability to get chat statistics, transcripts and reports. Thankfully premium plans are available and at a very reasonable rate.